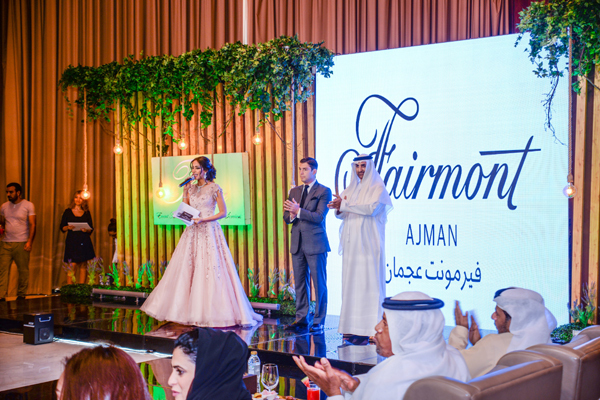 The Fairmont Ajman welcomed a number of visitors on October 10 for its 'Brides and Beyond' wedding fair, treating them fashion shows, product demonstrations, live performances and raffle draws. The opening ceremony of Brides and Beyond 2018 was attended by HH Dr Sheikh Abdul Aziz Bin Ali Al Nuaimi, member of the Ajman royal family and CEO of Al Ihsan Charity Association, as well as Saleh Al Geziry, director general of Ajman Tourism Development Department, amongst other distinguished guests. Throughout the day’s event, visitors to the exhibition able to meet with some of the region’s best suppliers and wedding organisers exhibiting at this one-stop-shop event designed to address all matrimonial needs; from elegant venues to bespoke culinary options, designer wedding gowns and various other wedding requirements.